CASA, court appointed special advocates, is a group of community volunteers who have been appointed by the family court and have undergone training. These volunteers all have a similar interest of advocating for abused and neglected children that have been removed from their homes. The Family Court Judges delegate each child to a CASA volunteer where they then aim to maintain their emotional, physical, and educational well-being by monitoring where they are placed. Volunteers stay with each case until it is closed and the child is placed in a safe, permanent home. Our advocates change children’s lives. Lives like Guillermo, who was trafficked to the United States from Ecuador when he was 11 years old and forced into manual labor, to pay off family debts. He was made to work every day and not allowed to attend school. Finally, after five years Guillermo escaped and contacted the local police. Child Protective Services then helped him move into a youth homeless shelter as an emergency placement. Our CASA volunteer, Noelle, was assigned to Guillermo a month later. Noelle quickly realized how much support Guillermo needed and didn’t hesitate to act. Guillermo, on top of having no family connections, spoke very little English and had not gone to school since he was 10 years old. 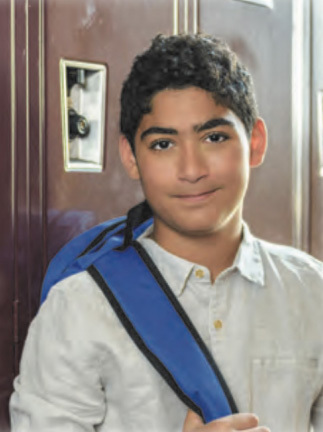 Noelle began making frequent visits to the school and shelter to assess his emotional, physical and educational needs. She developed strong relationships with school personnel and his caseworker to find him a safe, permanent home. As a result, Noelle identified a parent whose son was Guillermo’s best friend, who ultimately became Guillermo’s foster parent. Guillermo now resides with his friend and the family considers him one of their own. Despite being out of school for so long, due to the stability offered at his new home and the partnership Noelle formed with the school, Guillermo is thriving and will have the opportunity to graduate with his peers in a community that cares about him and a family that loves him. Volunteers are the most important resource any community organization can have, but ours are truly essential to our mission. Volunteers like Noelle provide a judge with recommendations and a carefully researched background of the child and their needs, which assists the court in making an informed decision about that child’s future. This past year, 97% of recommendations made by CASA volunteers were accepted by the judge. The work of our volunteers truly makes a difference in a child’s life. Thanks to our generous donors and 258 trained-volunteers, we could serve 352 children this past fiscal year. While we are proud of serving 11% more children with 22% more advocates, we know there is so much more to do. The number of children entering the child welfare system continues to rise substantially. More than 1,000 of our communities’ most vulnerable children living in foster care and residential facilities still need a CASA volunteer. This year, CASA is hosting a “The Wizard of Oz” theme Red Shoe Gala, where guests are encouraged to wear red shoes to symbolize home. Dorothy’s journey through Oz can be compared with that of a child’s life — a child who faces an uncertain fate. As in “The Wizard of Oz,” the characters of the Tin Man, Cowardly Lion and Scarecrow each play a role in getting Dorothy home safely. Please join us for great music, silent and live auction and dining on Saturday, March 24, at 6:00pm at the Cobblestone Creek Country Club (formerly Green acres Country Club) in Lawrenceville, NJ. For more info, call 609-434-0050 and visit us on the web at www.casamb.org.